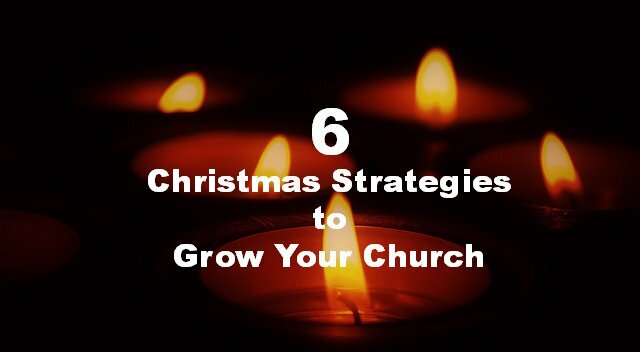 Use the Christmas season to encourage your members to invite their friends to church. Here are a couple of ways. Tips on using Facebook for inviting people to Christmas services. Print up some invitation to Christmas Services in a business card size for members to share. 2. Find ways to bless your community. A Christmas Outreach in Small Town USA. Each of these ministries are designed to not only bless the community, but seize the opportunity to share information about Christmas services. 3. Encourage your members to have parties with their neighbors. Christmas is full of parties and celebrations. You can encourage your members to be intentional in spending time with their neighbors or co-workers, and look for those moments to share some of their own personal faith journey. How to destroy a Christmas Party with evangelism. 4. Review and update your church welcome practices. Have your hospitality coordinator or ministry leader do a quick review of your church’s welcome, and then empower them to make some quick and easy changes. Clean up these 5 areas before your Christmas visitors arrive. Review your hospitality prior to the Christmas rush. How to welcome church visitors during Christmas. I downloaded the audit and forwarded it to our hospitality leader. We work hard on developing hospitality in our church and yet there were a couple of things I learned from the audit that we have not done. I would recommend everyone downloading it. You could print up some business card size series promotional for members to share, just like you may have done for your special Christmas services. It might be a series tied to new year resolutions that emphasizes the work of the Holy Spirit in changing us. You might do a sermon series on dealing with sin in relationships. You want to plan an attractive series that will make it easy for your first time visitor to want to return. You’ll need to help newcomers and non church goers discover value in attending church. With the comeback sermon series, you’ve made the next step easy to follow. However, churches that fail to plan their assimilation strategies generally won’t see growth. Take the time to review your intentional pathway to help returning visitors build relationships. The goal is creating space for relationships to organically develop. What if your visitor keeps returning? Excellent post, Chris! Lots of great advice!